Successfully Added Simulation 3D Moon Night Light, 3 LEDs USB Rechargeable Moonlight Desk Lamp with Wood Base- 10 cm to your Shopping Cart. Made of food-grade PLA, harmless to body health, the use of safety. You can change color with your fingers touching it directly. Once touch to change color, twice touch switch to breathing pattern. High performance LED light is more energy saving and environmental protection. 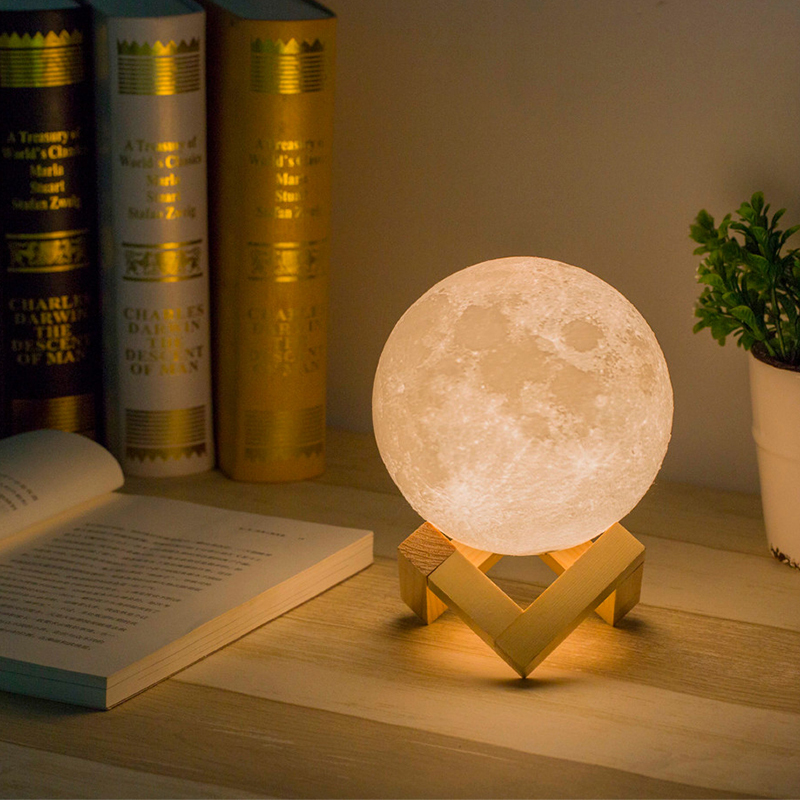 The moon light will add some warm atmosphere in your home and you won't feel lonely in the dark. The desk lamp is popular for its unique design, it can be good gift to the friends and families. Click the picture,you can buy 18cm.